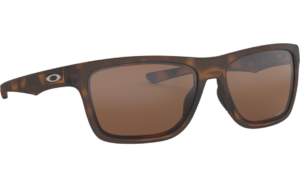 Oakley Holston 9334-08 Sunglasses have been carefully designed to have a universal appeal, meaning they can be worn for all occasions. The frame is light weight and perfect for all day wear, whilst providing maximum comfort. The frame gives a classic, yet trendy look and is perfectly suited for sports lovers. This Holston frame continues to show how Oakley lead the eye wear market with both technology and style. 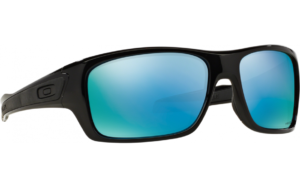 The Holston frame features Oakley’s three-point fit system which ensures the frame remains optically aligned. This can also help to prevent the frame from weighing down the ears, which is ideal for sports lovers that need the freedom to move around, with around the frame slipping or moving whilst playing sports. Another benefit this frame provides is the unobtanium nose pads which helps the frame stick to your nose even when sweating. This is a classic frame and would generally suit most face types. Although, this frame would complement smaller to medium faces. This frame is available to our customers in three different colours. We offer our customers free standard delivery (UK only), we also offer next day delivery (£7.25) between 9:00am-16:00pm Monday to Friday only. 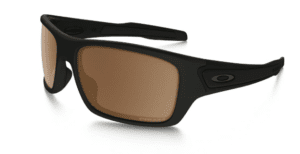 These Oakley Turbines include a free Oakley box, pouch and also booklet.